Chautauqua School of Performing Arts is a continuing educational program of the Chautauqua Playhouse. Started in the 1980’s by Jim and Linda Arnold and Boots Martin, the program has reached out to budding artists for nearly 30 years, instructing in the areas of dance, singing and acting. In 2012, under the leadership of Linda Small and Warren Harrison, the Summer Showcase program was expanded to include stagecraft, auditioning techniques and costuming. Each workshop features a musical comedy written especially for the workshop. 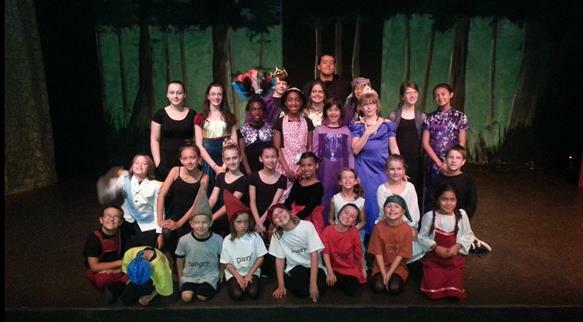 2012 featured the Summer Showcase production of “Alice in Wonderland”, a new musical adaptation written and tailored especially to the talents of CSPA participants. This successful production played to enthusiastic sold out houses for all performances. 2013 saw a production of “My Darling Clementine” (a western Cinderella Story) and “Tom Sawyer Paints a Fence”. 2015 premiered “Mickey and Judy—The Barn Show”, a loving tribute to the musicals of Mickey Rooney, Judy Garland, Shirley Temple, Busby Berkeley and the antics of “The Little Rascals”. 2016—The workshop took a cruise on the Pacific in the music-filled “Cruise Ship Crazy”, a trip with a bit of mystery. 2017—Sees the return of “My Darling Clementine" and "Tom Sawyer Paints a Fence".